I've tromped around reputedly haunted cemeteries in the middle of the night. I've walked the halls of haunted houses -- the real kind -- in the wee hours. I've seen and heard things I can't explain. What I've never been in those situations is afraid. Which isn't to say I'm fearless. I'm not. In fact, I like a good scare. 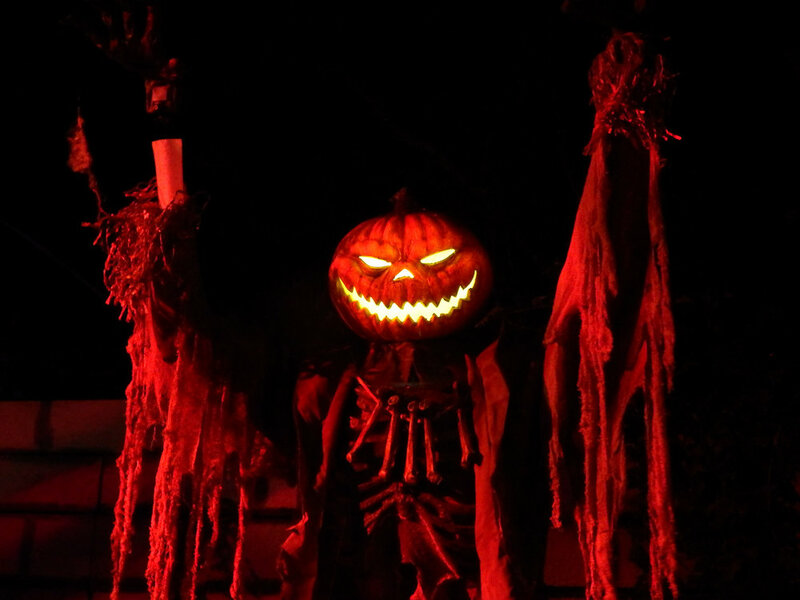 Since it's October, haunted attractions are up and running, so what better place to go get scared? Friday night I visited two local haunted houses. Not the actual kind, but haunted attractions run by some very nice people who let me wander around with cameras running. 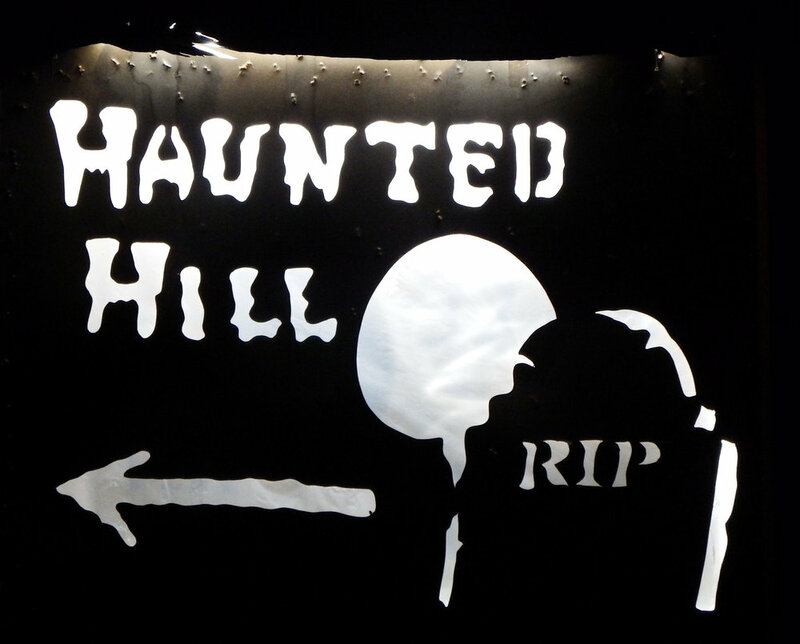 Haunted Hill and Devil's Tower, both located in north Mississippi, were an absolute blast. I plugged in the address -- 433 County Road 1057, Tupelo, MS, and Google Maps took me right to the parking lot. They're located next door to each other, so you don't have to pack up and drive to the next once you're there. Parking is plentiful and well-marked. There is even rope lighting to help you avoid stumbling in the dark. Admission to each house is a mere five bucks per person (ten total, for both houses, which is a real bargain). I suggest you bring cash. These are not hastily-tossed together spookhouses you'll walk through in a minute. They've got light effects, sound effects, animatronics, actors. The scares are the good-natured kind, light on gore. You can bring kids. They'll yell their little heads off, but they won't be so traumatized they'll wind up in therapy. I cam equipped with camera gear. One of my cameras is an ancient Sony that shoots in IR, just like you see on ghost-hunting shows. The IR light is invisible to the eye, but the camera can see it just fine. Most of the footage you'll see in the video I made was shot on the Sony. Keep in mind that I was walking along in the near-dark, blind as all the rest. I didn't see the actors until they were within a foot of me. Jump-scares abound, and due to the unique acoustic qualities of both attractions, it may seem as if I shrieked aloud more than once. But don't be fooled; those cries were those of, um, feral possums. Yes. Roving bands of possums, which sound much like a suddenly frightened fifty-something human. Just one of nature's little tricks. I didn't include everything in the video. Just enough to give you a flavor for Haunted Hill and Devil's Tower. CLICK HERE TO SEE HAUNTED HILL and DEVIL'S TOWER VIDEO! Again, my thanks to the owners and operator of Haunted Hill and Devil's Tower. You were gracious, and you're running wonderful attractions.